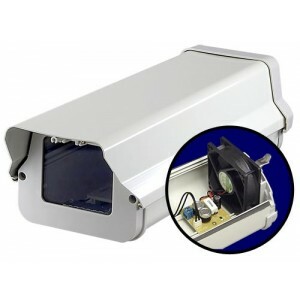 Bluecctv holds a wide selection of CCTV housing, security camera mounts, and enclosures to address any surveillance solution. We carry a diverse selection of outdoor & indoor housings and Housing mounts, outdoor weatherproof enclosures , as well as monitor / television mounts. Ensuring that you have a good sturdy mount to hold up your security devices is just as important as the devices themselves. 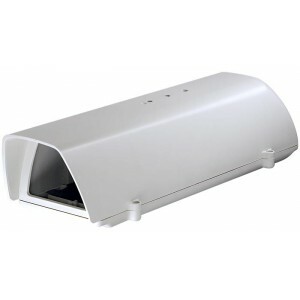 CCTV Camera Outdoor Housing Short Size with Wall Mount Housing (HO 605S) Metal 11" (Shorter Version of HO 605) Bottom Attachable Mount (HM 205) Wall Mount Max. 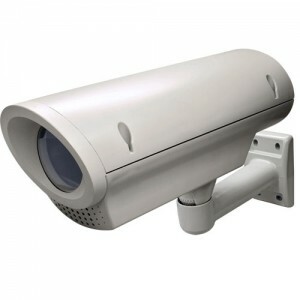 Load : 15lbs Aluminum Beige Swivel Angle : 90° 11.22" Length near 2 lbs Downloa..
CCTV Camera Outdoor Housing Short Size with Wall Mount Housing (HO 605) Metal 15" Mount (HM 205) Wall Mount Max. Load : 15lbs Aluminum Beige Swivel Angle : 90° 11.22" Length near 2 lbs Download Brochure Some Images may be used..
CCTV Camera Outdoor Housing Heat & Blower with Wall Mount Housing (HO 605HB) Metal 15" AC 24V Bottom Attachable Mount (HM 205) Wall Mount Max. Load : 15lbs Aluminum Beige Swivel Angle : 90° 11.22" Length (8.9" in case HM 205 not in stock) near 2 ..
HO 605S - Standard Camera Housing, Aluminum, 13 inch Long FEATURE Outdoor / Indoor Housing Aluminum / Beige 5.6”(W) x 4.5”(H) x 13.8”(D) Sun Shield 3.9 lbs Some Images may be used for illustration purposes only and does not represent actual products. ..
HO 603 - High Quality Camera Housing, Ceiling Mountable Housing, 15 inch Long FEATURE Outdoor / Indoor Housing Plastic / Gray 3.9”(W) x 3.8”(H) x 14.5”(D) Sun Visor 3.9 lbs Some Images may be used for illustration purposes only and does not represent actual products. 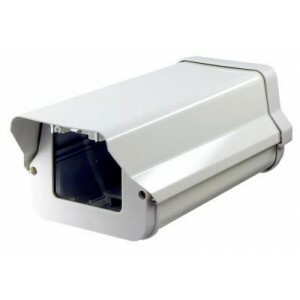 ..
HO 605 - Standard Camera Housing, Aluminum, 15 inch Long FEATURE Outdoor / Indoor Housing Aluminum / Beige 5.6”(W) x 4.5”(H) x 15.4”(D) Sun Shield 3.9 lbs Download Brochure Blue CCTV offers camera housing units for your camera systems for sa..
CCTV Camera Outdoor Housing ( Heat & Blower ) FEATURE Outdoor / Indoor Housing Aluminum / Beige 5.6”(W) x 4.5”(H) x 15.4”(D) Sun Shield Heater and Blower (AC 24V) Some Images may be used for illustration purposes only and does not represent actual products. 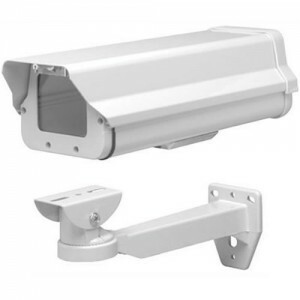 &..
Standard Plastic Camera Housing, 16 inch Long, Cable Pass-through Metal Mount Included FEATURE 5.6"(W) x 4.5"(H) x 15.4"(D) Sun Visor Housing Mount Included Cable hidden inside the housing and the mount Outdoor / Indoor CCTV Camera Housing Metal Bracket HO 619 Some Images m..
HO 619HB - Standard Plastic Camera Housing with Heater/Blower, 16 inch Long, Cable Pass-through Metal Mount Included FEATURE 5.6"(W) x 4.5"(H) x 15.4"(D) Sun Visor Housing Mount Included Cable hidden inside the housing and the mount Heater & Blower AC 24V HO 619HB Som..